The tribal jail in Fort Washakie, which serves the entire Wind River Indian Reservation, has a capacity problem. But the three judges of the newly resurrected Wind River Tribal Court say detainee numbers reflect genuine demand. They’re planning instead for a future that includes a new criminal justice complex, alternatives to incarceration and culturally rooted treatment of underlying crime drivers in the hopes that one day they’ll not need so much jail space. Built to house 26 people, the jail had held 62 that morning, two tribal judges told state lawmakers on the Select Tribal Relations Committee on Aug. 27. The numbers were inflated by the weekend’s predictable uptick in arrests, most of which are for drug- and alcohol-related crimes. But even discounting weekend offenders, the jail is consistently running well over capacity, officials said. Judges Terri Smith and Dave Archuleta, who presented to lawmakers, are two of three judges leading an all-new court staff that took control of the tribal justice system in January. Though they worry about overcrowding, they told lawmakers that the jail population seen today is more representative of crime on the reservation, and that they’re no longer taking a lax approach to crime they saw from judges who served before them. Tribal officials want to build a new justice center to match what they see as the real incarceration need for the reservation. They need federal funding for that project, they told the Select Tribal Relations Committee. The lawmakers voted to support tribal officials in that pursuit by contacting Wyoming’s congressional delegation and federal agencies if necessary. At the same time, judges hope to play a stronger role in correcting the underlying substance abuse issues that drive crime on the reservation. The new court follows several years of turmoil generated when the two tribes ended shared governance of an earlier tribal court and several other joint ventures. During that time, programs that can help stem the flow of people in and out of jails fell through the cracks, tribal officials say. Now, the new judges are taking steps to rebuild programs that assign treatment instead of jail time, and the reservation’s two most prominent treatment programs — enterprises of the Eastern Shoshone and Northern Arapaho tribes — are eager to play a role. “Jail doesn’t get rid of a substance abuse disorder,” said Sunny Goggles, director of the White Buffalo Recovery Center in Arapahoe. She cautioned also against assuming that higher incarceration numbers were a true norm, saying crime on the reservation hadn’t been sufficiently studied to draw those conclusions yet. Goggles once helped run a wellness court on the reservation that received national honors for its effectiveness in prevention among juvenile offenders, according to a 2012 report in the Casper Star-Tribune. She is frustrated that the wellness court she helped build was lost and that the tribes are now starting from scratch, she said. 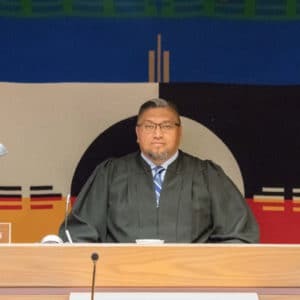 But, if the new tribal court is indeed interested, combining a judge’s orders with a tribal tradition of emphasizing physical, mental, emotional and spiritual wellness will go far toward rehabilitating offenders, Goggles said. It could help the criminal justice system on the reservation stand out when it comes to rehabilitating offenders. As a day in tribal court shows, alcoholism and drug abuse are behind many of the offenses landing tribal members in jail. The prevalence of substance abuse in turn has underlying factors — from chronic unemployment, poor housing and low life expectancy to the historical trauma of genocide, loss of cultural traditions and ancestral homes. Historical trauma is frequently referenced by both tribal judges and the reservation’s substance abuse treatment experts. If more difficult for outsiders to grasp, it’s a problem they say the reservation has its own keys to solve, embedded in the same culture that suffered at the hands of colonization. On Thursday, Sept. 6, four men and two women in orange Bureau of Indian Affairs prisoner jumpsuits filed into the courtroom in Fort Washakie and took seats in the front row to await their arraignment. 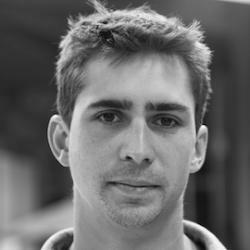 All had been in jail since being arrested over the three-day Labor Day weekend. All six offenders were charged with public intoxication and various related crimes — mainly resisting arrest or disorderly conduct. Other weekend offenders had been arraigned that Tuesday. The BIA label on the jumpsuits isn’t the only distinguishing factor in the tribal court. The prosecutor wears jeans and striped button down shirt and there are no suits in sight. Though the law enforcement officers manning the detention center are BIA employees, as of January the officers of the court are Wind River Inter-Tribal Council staff. Judge Martin Armajo, who presided that day, is a 17-year veteran of law enforcement on the reservation and knew several of those in handcuffs awaiting his judgement. “One thing concerning me is all of the times you’re in here” Armajo told one offender. “Don’t come back,” he told another, shaking his finger. “I’ve arrested a lot of family and I’ve had a lot of family come before me on the bench,” he said in an interview after the court adjourned. One offender on the day’s docket typified the tough cycle of crime and offense on the reservation, where criminal offenses are interlocked with struggles with alcoholism. 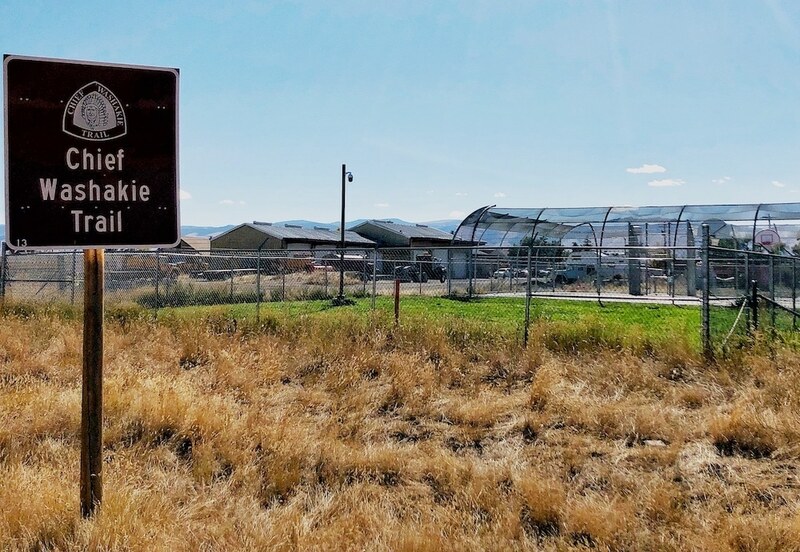 “I was doing really good with Eastern Shoshone Recovery,” the offender said, naming one of the two major treatment programs on the reservation. He had done a court-ordered 120 hours of treatment and was continuing to attend counseling but had a relapse, he said. Armajo gave him a 60 day sentence for his offenses, but suspended all but 10 days and ordered him into a probation program. Armajo would prefer to have more options. Soon, he said, he hopes to have a larger toolkit with which to adjudicate substance abuse offenders. Armajo recently completed a wellness-court training and the tribal court is now working to secure federal funding to pay for treatment for some offenders. Meanwhile the court is moving four subjects into a probation program focused on drug and alcohol abuse treatment, Armajo said. Leslie Shakespeare, who serves on the Eastern Shoshone Business Council and was instrumental in rebuilding the tribal court, said the new justice system is working to overcome a legacy of distrust. “A lot of people in the community as far as public safety kind of thought there was a lapse in justice,” he said. The court was one of many programs that suffered during a split in tribal governance from 2014-2016, Shakespeare said. The Eastern Shoshone and Northern Arapaho tribe had governed the Wind River Indian Reservation together via a Intertribal Joint Business Council. When they divided into distinct governing bodies for each tribe, many intertribal programs were upended. At the time the Northern Arapaho chose to fund their own court, but the Eastern Shoshone didn’t have money for its own, Shakespeare said. Instead, the BIA established a Court of Indian Offenses, which was managed by the federal agency and not the tribes. If an enrolled member of the Northern Arapaho Tribe and an enrolled member of the Eastern Shoshone Tribe were caught committing a crime together, they were processed in two different justice systems. During that time, the wellness courts that could mandate treatment along with or in lieu of incarceration withered. Those who tracked the program’s decline blame both disorder at the tribal level and declining state funding from the Wyoming Department of Health, which had previously paid for the tribal wellness court. Data from the DOH shows funding allocated for the current fiscal year went unused by the tribes, who informed the DOH they would close their programs in June. 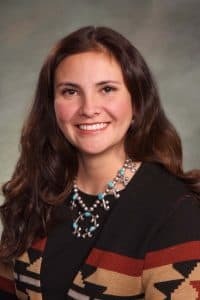 Before becoming a state senator, Cheyenne attorney Affie Ellis (R-Cheyenne) toured Indian Country as a member of the Indian Law and Order Commission, a national initiative which looked at tribal justice systems from 2010-2012. Conditions of the jails on reservations were symptomatic of underfunding for tribal criminal justice systems, she said. 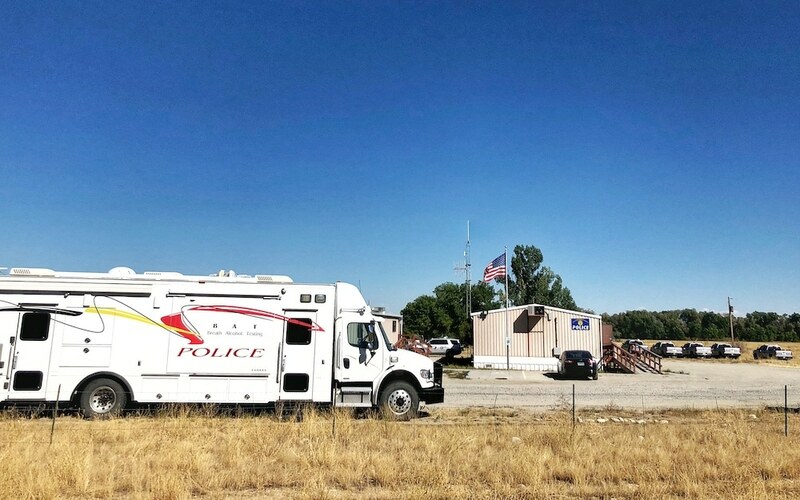 “They are overcrowded,” Ellis said, “and in a lot of cases lack what we would require from any kind of modern detention space.” The jail on the Wind River Indian Reservation was one the commission visited, and was overcrowded at that time too, she said. There have been other concerns with justice on the reservation as well. During Ellis’ time with the Indian Law and Order Commission, there was a federal initiative to boost the number of law enforcement “boots on the ground.” When law enforcement arrived on the reservation, crime numbers initially went up, according to the Indian Law and Order Commission’s report. Part of the uptick came from tribal member’s realization that, after years of insufficient responses, their calls to law enforcement would be answered, Ellis said. “The crime was always there it’s just that people weren’t in the habit of calling the cops,” she said. Even before the councils divided management of the courts, Shakespeare said, there were worries that judges weren’t holding people accountable for offenses. If the jail was getting full, judges would release offenders to make more room, he said. If someone was picked up on a misdemeanor but under investigation by the federal authorities who handle felony crimes on the reservation, the judges wouldn’t hold the suspect on the misdemeanor, while the FBI or BIA continued its investigation, Shakespeare said. That was a risk to victims. The new tribal courts will try to hold those offenders on the misdemeanor to allow evidence on the felony to be gathered, he said. “People can now trust that if there’s a serious crime there will be a response,” he said. Dealing with that trust was the council’s first concern, Shakespeare said, and now the court can focus on the problems underlying crime on the reservation. “We all know we’re not going to arrest our way out of things,” he said. For Goggles, the director of the White Buffalo Recovery Center, it’s disappointing that one successful wellness court had to be discontinued for another to begin. But she is ready to receive offenders in her treatment programs if the tribal courts will start sending them to her, she said. Her treatment center on the edge of Arapahoe has a house for those in inpatient treatment, as well as facilities for people in outpatient treatment. There is a sweat lodge built in front of the house, evidence of Goggles’ commitment to treat tribal members using tribal traditions and practices. “The people I’ve seen successful are the ones that reconnect with their cultures and their traditions,” Goggles said. 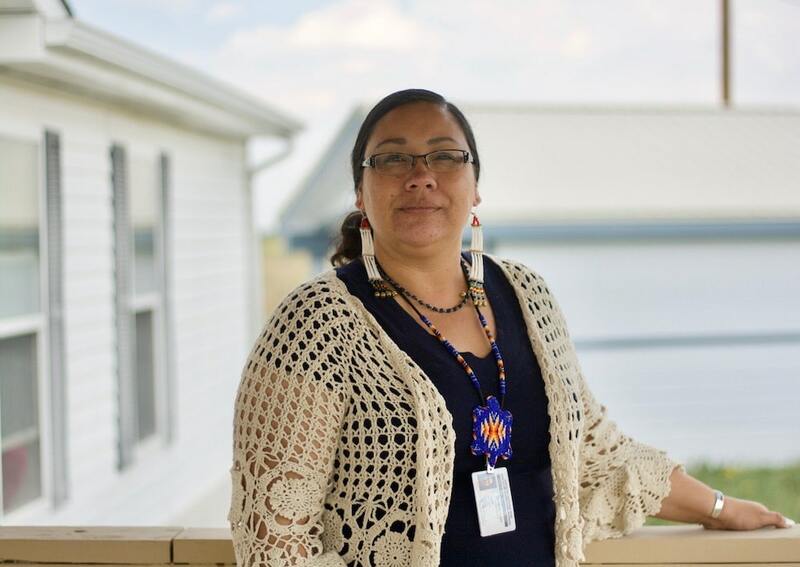 In Fort Washakie, Kelly Webb, the director of Eastern Shoshone Recovery, said her treatment center is also ready to bring in people assigned to them by the courts. Ellis agrees. Members of the Select Tribal Relations Committee stand ready to assist the tribes with criminal justice as they can, Ellis said. Given capacity problems in Wyoming’s own criminal justice system, she doesn’t think there’s an opportunity for a discussion about sharing jail space. Nor does she think state lawmakers should define solutions for the reservation. Both Webb and Goggles said they were aware of Armajo’s aims to rebuild the wellness court and see them as a positive step. His background as a law enforcement officer on the Wind River Reservation gives him a clear-eyed view of the legacy of crime from substance abuse. Good article for the most part but to state the justice system is better now compared to the past is a joke. When you allow abusers, alcoholics and criminals to be employed or family members running the court my question is how is it fair to the members of both tribes? Paperwork lost, prosecutors scrambling in court to justify why someone should be convicted, public defenders not being available because of conflict of interest or because it is their family members in the court system. Sounds to me people just read how its getting better but not really experiencing the turmoil present or even questioning their rights but believing in a system they thought they can trust while giving away their freedom to speak and agreeing to what they believe is justice. You cannot treat substance abuse or alcoholism on this reservation until you take care of everything on the rez. This includes our poor housing, education or lack of jobs. Our leaders n people need to help tribal members maintain jobs by providing guidance on communication, job skills, and the importance of keeping a job or to even fill out an application. This place is a hole and until everything is looked at, until our councils become leaders and until people become accountable we will in the near future be reading yet another article on our jails or justice system. “Where is the enumerated powers in the United States Constitution for U.S.C. Title 25-INDIANS to exist? No enumerated powers, no U.S.C. Title 25-INDIANS! I enjoyed this article and understand the importance of helping our people. From the view of the WRSORNA Program Director, I see what I believe is ‘institutionalization’ with many of our repeat offenders (alcohol and drugs) who end up incarcerated for a short while or a long period of time. I suggest to the offenders that they get their G.E.D and/or go seek employment, so they are busy and being productive. The downside to this is that, the offenders have to get passed the ‘criminal mindset’ way of thinking. 2. Where are the Statutes at Large for U.S.C. Title 25-INDIANS? In these times of political correctness and offensive terms why have not tribal peoples, maybe they have, objected to the term “Fort” in town or place names? This word conjures up in my mind invaders taking the land.. Very informative and well-done article. This is a discussion that is important for all Wyoming residents and others to hear. Thank you, Mr. Graham.